This new SKU will have more cut down version of Polaris 10 from RX470, with lower TDP around 90W and 1792 stream processors across 28 Graphics CoreNext compute units (CUs). Compare to the RX470 has 32 CUs. The new card may feature same memory config from RX 470, 4GB GDDR5 memory on a 256-bit wide memory interface. 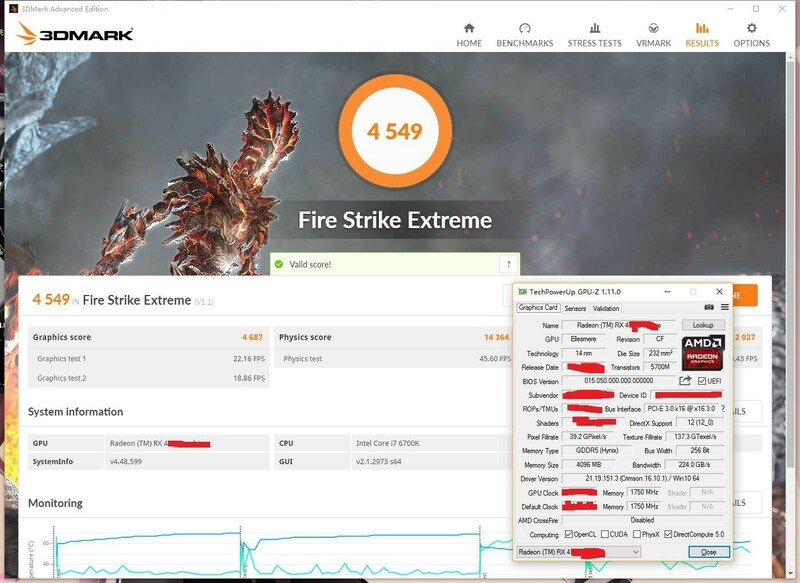 According to 3DMark Fire Strike Extreme and 3DMark Time Spy scores released by a ChipHell Forums user with access to a sample, reveals that stock speeds and 100% power limit, the 1,792-SP SKU is about 11% slower than the RX 470 4 GB in Fire Strike Extreme, and about 11.7% slower at Time Spy. So this new card from AMD will outperform the GTX 1050 Ti and AMD may position it competitive to NVIDIA’s GTX 1050 series cards.